Home / Articles / CIA awards medal to Saudi Crown Prince for fighting terrorism! Yes, you read that right. The Central Intelligence Agency (CIA), the American spy agency that specializes in killing foreign leaders and is the principal sponsor of global terrorism, has awarded a medal to Saudi Crown Prince Muhammad bin Nayef for fighting terrorism. 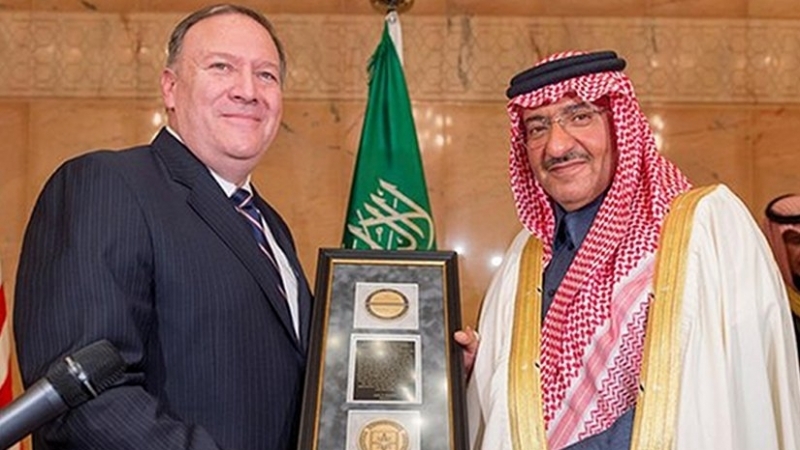 On Friday February 10, CIA Director Mike Pompeo, on a visit to Riyadh, Saudi Arabia, conferred the George Tenet medal to ibn Nayef for his work allegedly fighting terrorism. The medal is named after a former CIA Director George Tenet who served both Bill Clinton as well as George W Bush is also interesting. Tenet was CIA Director from July 1997 to July 2004. Two things in particular stand out about his tenure as CIA chief. His remarks about Iraq’s weapons of mass destruction (WMD) being a “slam dunk” case, and the agency presiding over the torture of detainees in Bagram (Afghanistan), Guantanamo Bay and Abu Ghraib (Iraq). When confronted on CBS TV program “60 Minutes” about the torture of detainees, Tenet shamelessly claimed “We don’t do torture.” Stripping prisoners naked, setting dogs on them, holding them in stressful positions for prolonged hours, beating them up, subjecting them to sexual abuse and depriving them of sleep for hours on end do not constitute torture. These are merely “Enhanced Interrogation Techniques”, in the infamous words of another American war criminal, Donald Rumsfeld (Rummy, as he was called). The medal awarded to the Saudi Crown Prince has led to a wide array of comments on the social media. One in particular stands out. It has been compared to McDonald’s getting an award for fighting obesity! Here are a couple of other pertinent comments. What would be the reaction of people if the Mafia boss were given a medal for fighting corruption? Perhaps the CIA’s award can be compared more accurately to the pimps of New York honoring the prostitutes of Paris for promoting morality. Ibn Nayef was of course beside himself at being so honored. Nothing pleases the Najdi Bedouins more than a pat of approval from their white masters, especially in the US. There was real panic in Riyadh at the election of Donald Trump as president. 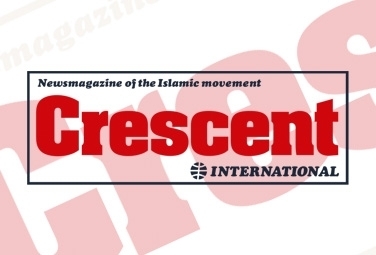 The Najdi Bedouins and their tribal cousins in the region had put all their eggs in Hillary Clinton’s basket. They had donated tens of millions of dollars to her campaign on the assumption that she would win. In the early morning of November 9, 2016 (it was almost midday in Riyadh) when it became clear that Trump had won, there was real grief in the Saudi capital. The Saudi (non) royals sulked in their palaces at this turn of events and gobbled even larger amounts of food with endless glasses of wine to drown their sorrow. The Bani Saud, however, have lots of experience switching masters. They utilized their skills that were honed during transitioning from the British to the Americans in the late nineteen fifties, and lost little time in sucking up to Trump. Aware that the real estate tycoon is vulnerable to sycophancy, the Saudis immediately launched their campaign of bootlicking. The results have clearly pleased them. First, there was the Trump phone call to Saudi King Salman two weeks ago. There was no mention of fighting terrorism; Trump also did not ban any Saudi from entering the US as he did with citizens from seven other Muslim majority countries (Iran, Iraq, Syria, Libya, Sudan, Yemen and Somalia). 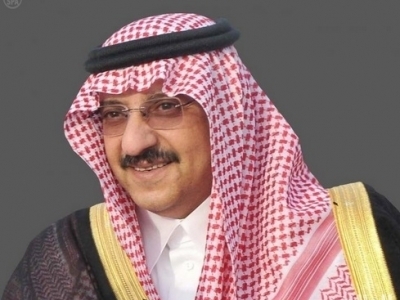 The award of the dubious medal to Ibn Nayef who is also Saudi Interior Minister has signaled to the Bani Saud that it will be business as usual with the US. The prince also said the award recognized the Kingdom’s anti-terrorism efforts under King Salman, and commended Saudis working in security agencies as well as the Saudi people for their work to combat terrorism. For the record, the Saudi regime is the main backer, financier and ideological trainer of the terrorists rampaging throughout the world. 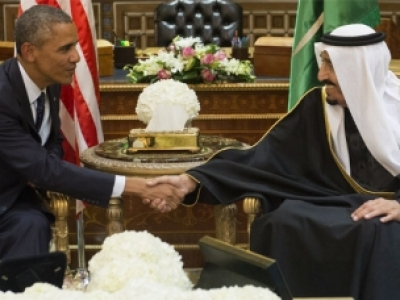 The vast majority of head-chopping and organ-eating terrorists are from Saudi Arabia. Among them are also a large number of criminals (murderers, rapists and others) released from Saudi prisons and unleashed in Syria, Iraq and other places. The Bani Saud have also launched a murderous war on dirt-poor Yemen where not only tens of thousands of innocent people have been murdered including many children, but at least 22 million people are on the verge of starvation. Do such people deserve medals? Only if you yourself are one of the main supporters and promoters of terrorists, as the US regime and in particular the CIA clearly is. Shelf life of the Bani Saud expires?